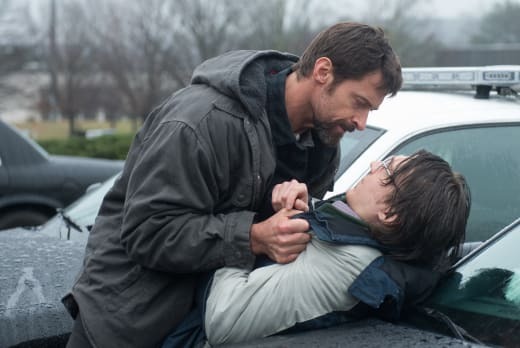 Prisoners stars Hugh Jackman living every parent’s worst nightmare. His daughter has disappeared. He doesn’t trust the detective manning the case (Jake Gyllenhaal), so what’s a dad to do? Take matters into your own hands and launch an all-out effort to find her alive. What we found so fantastic about this thriller (check out our theatrical Prisoners review) is that it keeps you guessing with twists and turns that come out of nowhere to shock and awe the audience. Prisoners is out now on DVD and Blu-Ray, and although it may be difficult to watch for parents, it is without a doubt one of the best movies of the year. Jackman is married to Maria Bello and she is not taking it so well either. In fact, she has become completely unresponsive in a drug-induced depressed state. Their friends’ (Terrence Howard and Viola Davis) daughter was with their daughter, and they are just as desperate, yet they have confidence in the cops and their ability to find their children alive. The supporting cast is astounding, especially Paul Dano and Oscar winner Melissa Leo. Since we do not want to tell you too much about this thriller, we won’t even tell you who they play! There are twists throughout, and part of the reason Prisoners is such a heart-pounder is because one cannot watch the film without wondering how far you would go if in the same position as Jackman’s character. Director Dennis Villeneuve does a masterful job of keeping the audience guessing, while simultaneously packing his film with emotion that is incredibly powerful and permeating. When it comes to bonus features on the Prisoners Blu-Ray and DVD, there are only two. Yet, they do the job of taking you behind the scenes while still reflecting the film's true power. Prisoners: Every Moment Matters sets the stage for the film and how, as explained in the movie’s narrative, time is of the essence when it comes to finding a kidnap victim -- especially one so young. After watching the full movie, this particular bonus feature is one of the rare ones that enhances the viewing experience more than a simple informative look at how the movie was made. 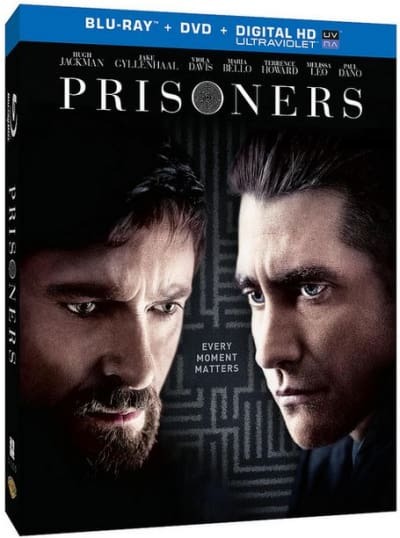 Both Gyllenhaal and Jackman give the performances of their careers in Prisoners. As such, the only other bonus feature on the film should and does pay tribute to that fact. Bello, Davis and the other performers also bring their A+ game, surely knowing the pristine excellence their two leads were turning in. Prisoners: Powerful Performances explores the hard to quantify art of the performance. Hearing and watching Gyllenhaal, Jackman, Davis, Leo, Howard and Dano discuss their craft, with the explosive Prisoners as the background, is simply priceless.